Hello! Welcome to my Valrico dentistry blog. Do you have crooked teeth? Do you wish you would have had braces as a kid, but feel it is too late now? Maybe you feel self-conscious about smiling with a mouth full of metal. I have good news for you: at Five Star Dental Care, we offer Invisalign clear braces. The main advantage of Valrico clear braces is that it is nearly impossible to see them while they are being worn, but the results are definitely noticeable! My name is Dr. Jeff Bynum of Five Star Dental Care. My staff and I want you to feel great about your smile. In addition to clear braces, we also offer dental restorations, teeth whitening, and porcelain veneers. 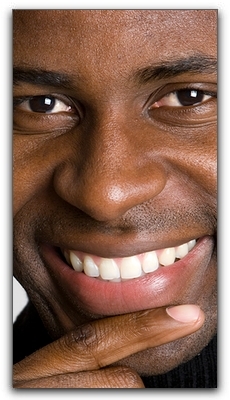 Did you know that porcelain veneers can correct some alignment problems? Please call my Valrico office today at 813-653-2273 to schedule an orthodontic consultation. Your oral health is important, so make sure you are getting the regular exams and cleanings you deserve. Here at Five Star Dental Care, we provide the highest possible standard of cosmetic dental services. This entry was posted on Friday, October 21st, 2011 at 12:48 pm	and is filed under Invisalign. You can follow any responses to this entry through the RSS 2.0 feed. Both comments and pings are currently closed.